With the summer season just around the corner, you may find yourself scrambling to find a place to stay. But you don’t have to worry with Shoreline Properties! We have some great new condos and townhouses here in Ocean City, Maryland that we think— no, know— will be the perfect place to rest after a long day at the beach! Browse through some of our finest new properties and choose the one that’s perfect for your family! 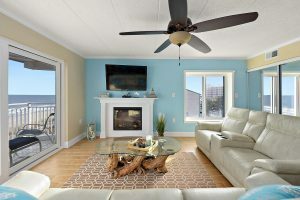 Ritz 12 is one of Ocean City’s premier vacation rentals. This upscale condo has a flatscreen TV in every room and free WiFi. It is incredibly spacious with subtle coastal decor. 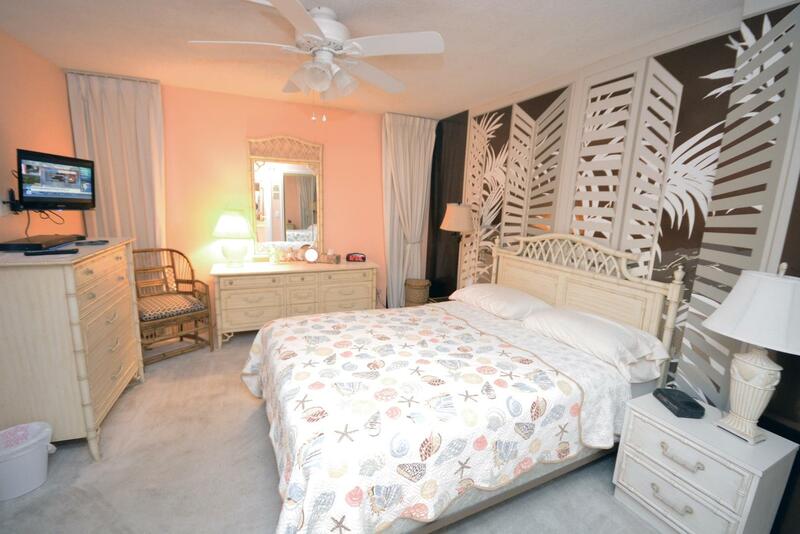 The master bedroom has a private enclosed balcony, while the main balcony provides a breathtaking bay view. Spend your summer vacation living the high life by booking here today. Sandy Lane Estates 301C is a beautiful bayfront condominium. 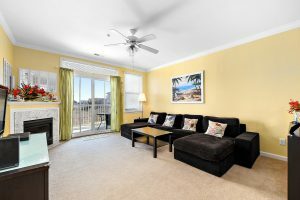 The well-furnished living room is the perfect place for games or a family movie night. The tropical decor will make you feel like you’re on your very own private island. Take advantage of the free WiFi, while you enjoy the stunning canal and bay views. Before you head out to the beach, hit the pool. There’s so much fun to be had here, you’ll never want to leave. Sleek and modern, Eight on the Bay 2-A is a beautifully remodeled condo on a quiet canal. The hardwood flooring keeps the condo clean, as you roam to and from the beach. Eat meals out on the balcony that overlooks the canal or take your family out for a boat ride. This condo offers fabulous amenities, including free WiFi and a FCFS boat dock. Eight on the Bay 2-A is the kind of condo that will have you coming back year after year. Sandpiper Point D3 is an adorable townhouse located on the bayside. The fabulous coastal decor will make you feel like a regular beach bum. But this isn’t your average beach house. 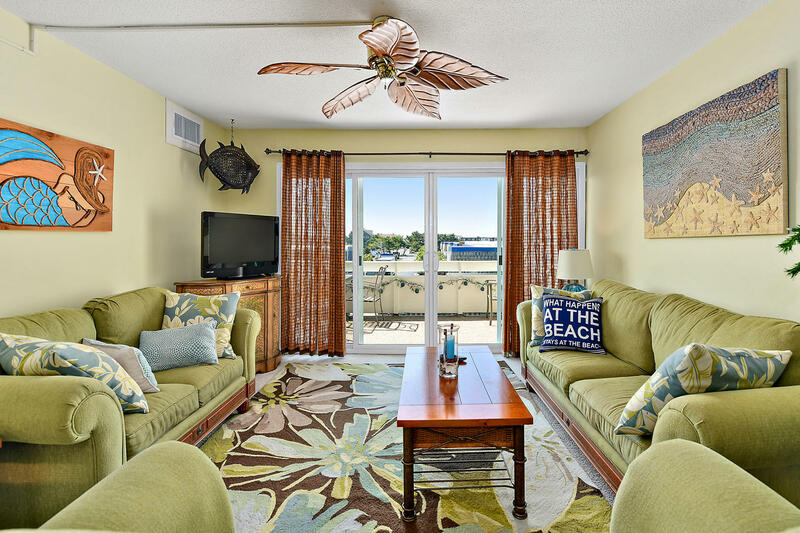 Sandpiper Point D3 has free WiFi, HBO, Onkyo stereos, a 60″ flat screen TV, and a Kenwood wine cooler. This townhouse is the perfect place for a family reunion you’ll never forget. Live like French royalty in this exquisitely furnished beach getaway. Versailles 303 is a luxury oceanfront condo with a breathtaking view of the ocean. 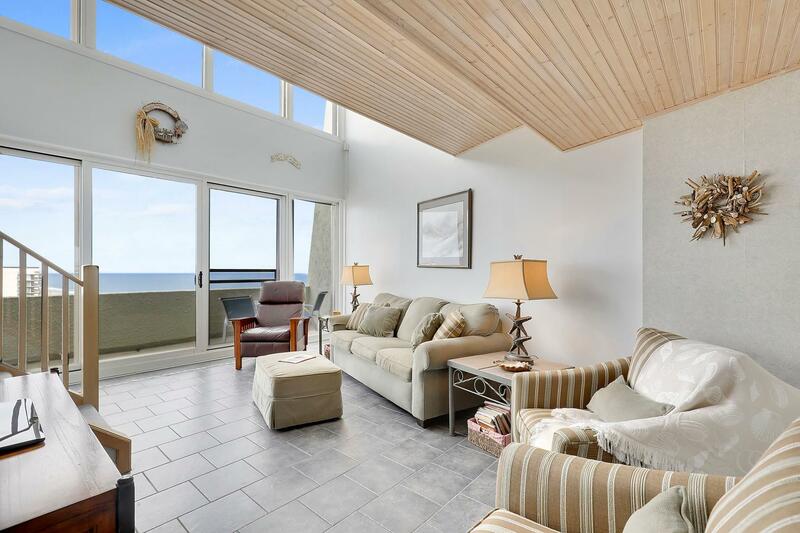 This condo is an absolute dream with tiled floors, flatscreen TVs, leather couches with cup holders, and a wide oceanfront balcony. Linens (sheets, towels, and pillowcases) are included with this rental. Come to Versailles 303 and live your best life. Sail away from the humdrum of life in this dream vacation spot. 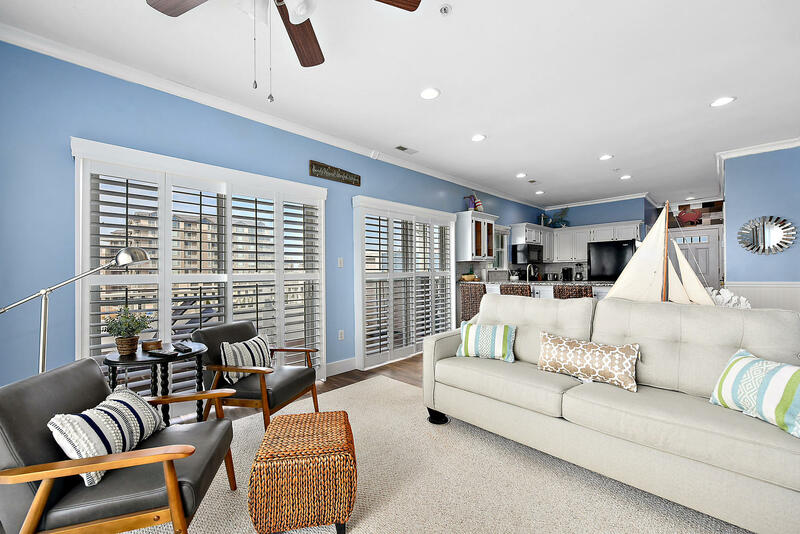 Bay Princess 204 is a beautiful midtown bayside condo with picturesque bay views. This condo comes with exquisite amenities, including a Smart TV, free WiFi, and a heated outdoor pool. Spend your summer vacation in luxury. Bright colors and coastal decor will keep your family in vacation mode 24/7. 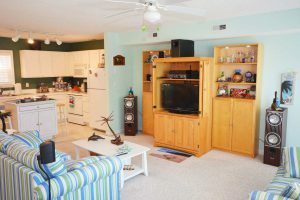 Sunset Island 2B is an adorable bayside condo located in an exclusive gated community. The view of the marshes will leave you breathless. 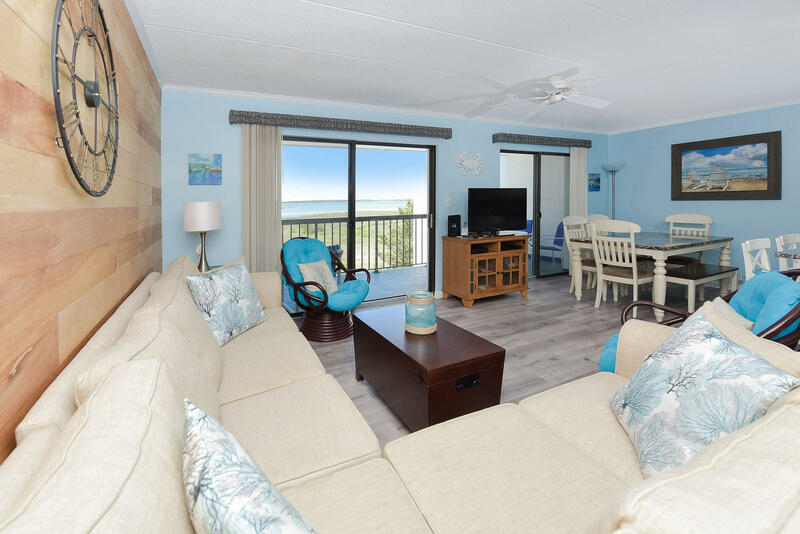 Take advantage of the free WiFi and enjoy all the wonderful amenities Sunset Island has to offer, from indoor/outdoor pools to private beaches to a bar & grill! There’s nothing but fun times to be had in this Sunset Island home. Don’t wait! Book your vacation in one of these luxurious condos now! And don’t forget to check out our rental specials! Summer 2019 is closer than you think. 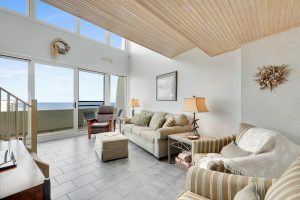 Author Keti LynchPosted on April 20, 2019 April 20, 2019 Leave a comment on Fabulous New Rentals With Shoreline Properties! Here in Ocean City, MD, we like to ring in the summer season early. How do we do that? With our annual Springfest! This exciting four-day festival includes so many wonderful activities, from arts and crafts to live music to delicious food! Best of all? This early summer bash is absolutely free! Come join us down at the Inlet (at the end of the famous Ocean City Boardwalk) every day from May 2nd through May 5th! The festivities start at 10am on May 2nd to 6pm on May 5th! This year’s Springfest has some exciting events and guests. Visit the indoor and outdoor stages and see shows by talented local acts and recording artists from all across the country! Get pumped for the party at the Opening Ceremony; get captivated dancers and bands; get artsy with fun crafts! With over 250 vendors under the big-top tents, there’s plenty of fun to go around! You won’t want to miss out! Springfest is one of Ocean City’s top spring events, a veritable jamboree! But the most exciting thing about Springfest is the headliners! This year we’ve got some great talent. On Thursday, attend the performance by Almost Queen! Jam out to classics and take in a fantastic show! What more could you ask for? On Friday, we’re welcoming hit singer LeAnn Rimes! You won’t want to miss the chance to hear classic pop songs like “How Do I Live,” “Blue,” and “Can’t Fight the Moonlight” live! On Saturday, Night Ranger takes the stage with special guest The Reagan Years! It’s Ocean City’s very own ‘80s Night for the whole family! And when night falls and the party ends for the day, come stay with Shoreline Properties! We have hundreds of condos and townhouses for you to choose from. For a minimum of three nights, you can feel like you’ve got a second home in our exquisite properties. Don’t forget to check out our rental specials for amazing deals! We have dedicated local staff members that are here to help seven days a week! Browse our website or give us a call at 1-800-492-5832! It’s never too early to start summer! Author Keti LynchPosted on April 9, 2019 Leave a comment on SPRING(FEST) INTO SUMMER 2019! Spring Break is just around the corner! What better time to plan a fun getaway with your family than now? 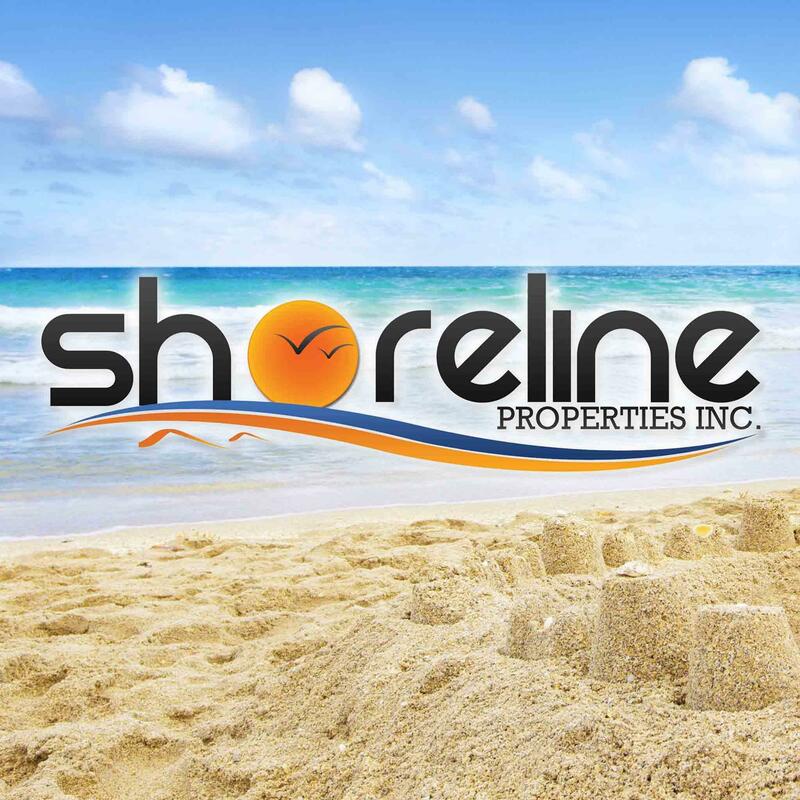 Shoreline Properties offers some great off-season deals on condos and townhouses! Start your summer early and take the kids to Ocean City for a week of excitement! It’s the perfect time for family bonding and laid-back fun! Ocean City has so many exciting events that are sure to make this Spring Break a memorable one! On April 19-20, head to the Ocean City Convention Center for the Easter Arts & Crafts Show and the Kids Fun Fair! Stay a little longer and attend the Maryland International Kite Expo on April 26-28. There’s so much family fun to be had on Spring Break! Take a walk on the beach and fly kites. Visit the famous Ocean City Boardwalk during the peace and quietude of spring. Go mini golfing or spend an afternoon bowling. Hit up Gold Coast Mall or venture out to Tanger Mall. Go see a movie at the luxurious Sun & Surf movie theater. Grab a delicious dinner at one of our many wonderful restaurants, including Dead Freddie’s and Fager’s Island. There’s so much to do in Ocean City, even during the off-season— so many ways to make amazing Spring Break memories! 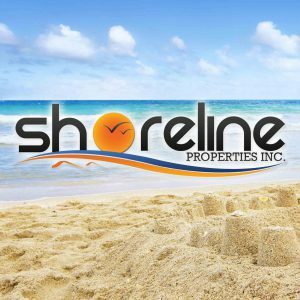 Shoreline Properties has some great deals going on right now. 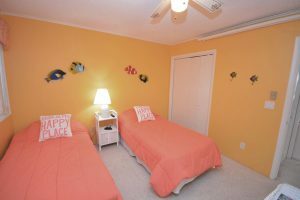 If you book a three-night off-season reservation (now through June 7th) in Sunset Island 2D, you’ll get $50 off! If you book a three-night off-season reservation in Tamarindo 1 or Sunset Island 44, you’ll receive $75 off! Take advantage of these amazing deals and book with Shoreline Properties today! And don’t forget to sign up for our email list to get even more fantastic deals and offers! We also have hundreds of condos and townhouses available for flexible off-season rentals. Whether you want to stay oceanfront, ocean block, or bayside, Shoreline Properties has the place for you! We also offers rentals uptown, midtown, and downtown. For a fun-filled Spring Break, stay with Shoreline Properties in Ocean City, MD! Happy Spring Break from our family to yours! Author Keti LynchPosted on March 28, 2019 Leave a comment on Celebrate Spring Break in Ocean City, MD! The summer vacation to Ocean City, Maryland has become the staple trip of families all across the country. Our little town has so many wonderful things for families to experience, from beaches to water parks to miniature golf! The Ocean City vacation is a time-honored tradition of families big and small, something that is sure to remain the case for years to come. But the Eastern Shore has so much more to offer, exciting locations you and your family may want to visit on your next vacation. So, consider taking a day trip to one of these fun, family-friendly places and spice up your 2019 vacation! A great place to visit for families and nature lovers alike is Assateague Island! Spend the day hiking the scenic hiking trails or go kayaking on the bay. But the most famous feature of Assateague? The ponies! There are over 150 wild ponies who’ve made their home on the tiny island. This is one attraction you don’t want to miss. If you’re looking for something more peaceful to do, visit one of the local small towns, Berlin, Snow Hill, or Pocomoke. Berlin was voted America’s Coolest Small Town in 2014 and proudly strives to live up to that title to this day. Check out the local art scene or go antiquing— there’s lots of low key fun to be had in Berlin. Snow Hill is home to Furnace Town, an outdoor museum that gives visitors the authentic experience of a 19th Century village. Pocomoke, the locally-known “friendliest town on the Eastern Shore,” is home to the Delmarva Discovery Museum. This museum is dedicated to all the diverse local culture. For a local cultural experience, these are activities in which you’ll want to partake. For a really cool experience, head over to Wallops Island! This little island is one of the four major rocket launch sites in America! Take the kids to witness science in motion and watch a rocket launch. Take a tour of the NASA Flight Facility while you’re there. It’s sure to be a blast! If you’re hoping for a shopping spree, head over to the Salisbury Mall! If you don’t want to travel that far, visit the outlets in West Ocean City! You can also visit the biggest outlets on the Eastern Shore, Tanger Outlets in Rehobeth! There’s so many shopping malls to choose form, you can shop till you drop! And, as always, don’t forget to book your home away from home with Shoreline Properties! We offer over 500 condos and townhouses, so hurry and make a reservation before they all get booked! See you this summer! 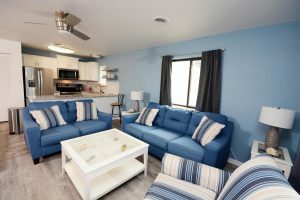 Author Keti LynchPosted on March 16, 2019 April 4, 2019 Leave a comment on Shake Up Your Ocean City Vacation! Fun Ways to Spend Valentine’s Day in Ocean City! Valentine’s Day is right around the corner. If you’re wondering what romantic excursion to take your partner on, wonder no more! Ocean City, MD is the perfect place to spend Valentine’s Day. You can rent a condo from Shoreline Properties and spend your evenings watching the waves crash over the beach. Shoreline has so many wonderful places to choose from. We can guarantee you the perfect romantic getaway. But what other cute and romantic activities are there? Ocean City has plenty of fun places to have a date. After all, there’s never a dull moment in Ocean City! Spending Valentine’s Day at the beach has never been a better idea than with Shoreline. 1. Karaoke: One fun couple’s activity is karaoke! Head to The Sand Bar on 33rd Street and perform your favorite duets together. Have a couple drinks, play a little pool, and rock the house! This adorable karaoke bar opens every day at 8pm. It’s a great way to spend a fun evening with your other half. 2. Ice Skating: Bundle up and spend an afternoon on the ice at the Carousel’s ice rink. Hold hands while making figure eights or learn a new skill together. Either way, it’s a fun way to get into the spirit of romance. 3. Miniature Golf: Feel like a kid again during an afternoon of mini golf! Old Pro has two indoor mini golf courses, one with an ocean theme and another with a safari theme. Choose which type of adventure you want to go on and have a blast with the love of your life. 4. Movies: How about something a little more traditional? Ocean City has a great movie theater called Sun & Surf on 143rd Street. They have the most comfortable reclining seats. You can even book a love seat for you and your partner to share! 5. Couple’s Spa Treatment at Creative Day Spa: If you and your significant other are looking to relax this Valentine’s Day, why not get a couple’s spa treatment? The services include massages, body wraps, and facials. While you get pampered, share a complimentary bottle of red wine and chocolates! You’ll feel like royalty with this amazing couple’s experience! 6. Horse & Carriage Rides on the Boardwalk: What better way to cozy up this Valentine’s Day than a romantic carriage ride? Enjoy the famous Ocean City Boardwalk in a whole new way for just $40 per couple! Not only is it cuddly and fun, but it includes a box of chocolates, a rose, and a cool glass of bubbly! Call 443-783-1409 and make your reservation now! 7. Dinner: You can keep your Valentine’s Day simple, while still keeping it high class. 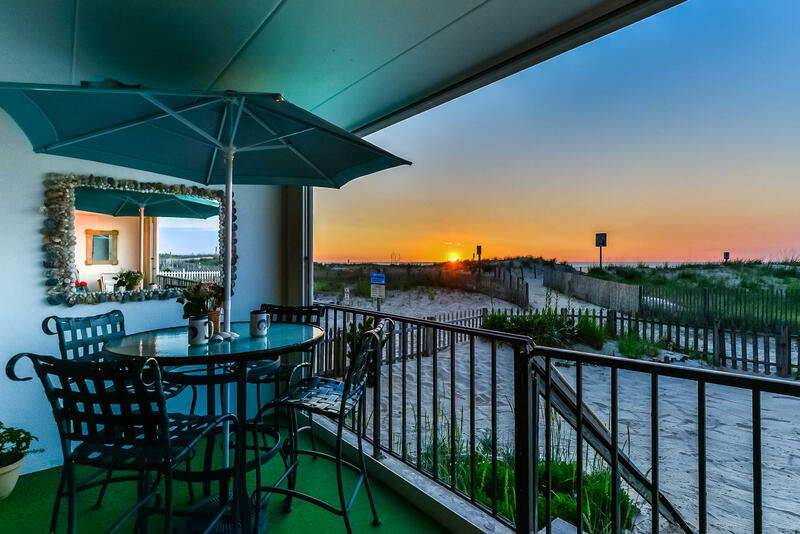 Ocean City is home to some of the most romantic restaurants on the Eastern Shore. Among the most romantic are Fager’s Island, The Captain’s Table, and Jules. Enjoy the finer things in life and treat your partner to a meal neither of you will ever forget. All of us at Shoreline Properties wish you and your loved ones a happy Valentine’s Day! 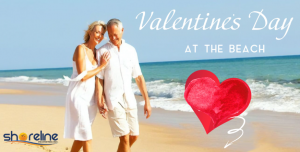 Author Keti LynchPosted on February 7, 2019 Leave a comment on Fun Ways to Spend Valentine’s Day in Ocean City! 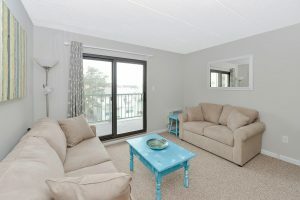 Book Your Vacation at One of Shoreline’s Fabulous New Rentals! Spend a week at this beautiful oceanfront penthouse. This dual-level condo is the ideal place to relax, with subtle but high-quality decor and a breathtaking view of the ocean. Spacious and well-stocked, there’s plenty of fun to be had for the whole family! Head downstairs for a swim in the heated pool or go a few steps further for a day on the beach. In the evening, relax on the balcony and watch the sun set over the Atlantic. Have a movie night in the living room and then sleep like a baby in one of the three bedrooms. When you wake up the next day, do it all over again! This condo is your vacation dream become a reality. If you’re hoping for a quick getaway, look no further than this condo built for easy relaxation. 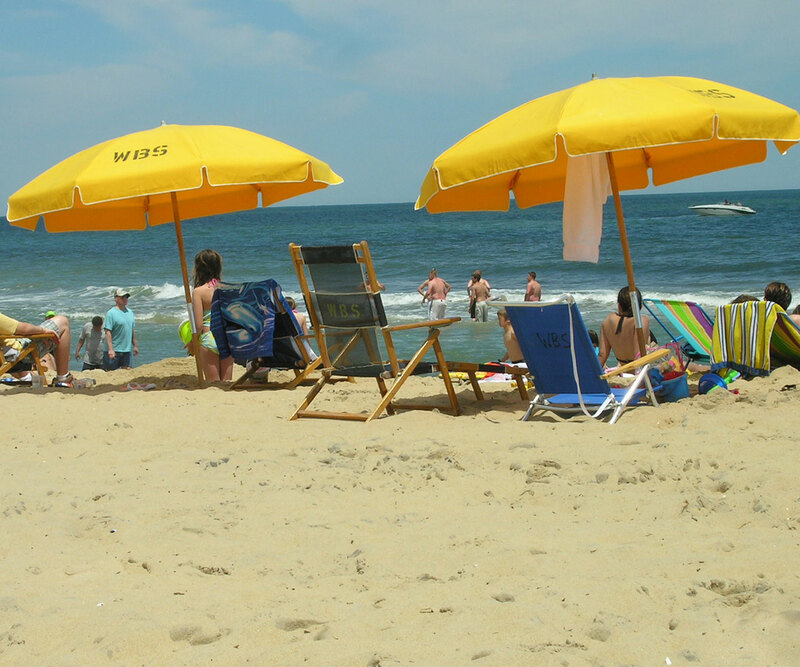 Modeled after the gorgeous Ocean City coast, you’ll feel like a regular beach bum for a weekend. You can even spot the beach from the balcony! 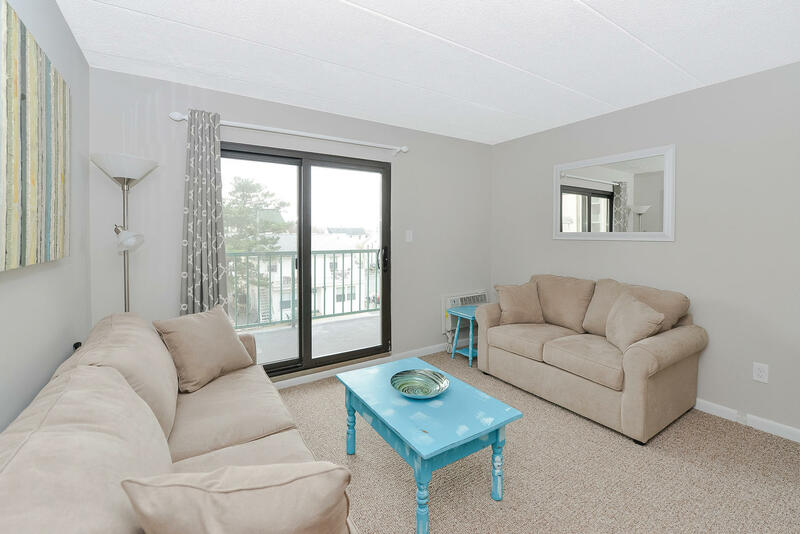 Walking distance from many of Ocean City’s best attractions, the condo’s location is perfect. Take a stroll to the beach and then come back for a relaxing evening. There is no better place to enjoy a piece of the simple life. Sail away from the pressures of life and stay a week at this cozy condo. The fun coastal decor will flip you right into vacation mode. Equipped with a boat dock and lift, you’ll live like a real sailor for a week. Watch the sunrise over the bay and then go for a swim in the pool. 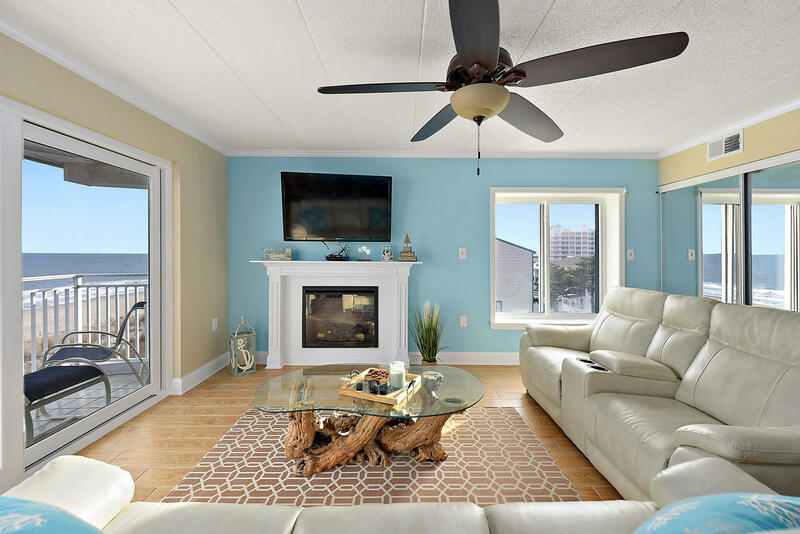 A mere stroll from a convenient shopping center and only four blocks from the beach, this bayside rental has one of the best locations in Ocean City. Take the kids fishing on the bay or spend an evening taking a relaxing boat ride. After a week out on the water, you’ll never want to go home. Located in the excitement of downtown, this bright and spacious condo is walking distance to many of Ocean City’s most popular attractions! It also has everything you need for meals, sleep, and relaxation. Not only is this condo oceanfront, it’s directly on the famous Ocean City Boardwalk! Have a picnic out on the boardwalk deck and then catch some waves. Walk down to the Inlet and spend the evening playing carnival games and riding amusement park rides. But don’t forget to save an evening to watch the sunset over the sea! You’ll make all your best memories in your own personal island in the sun. 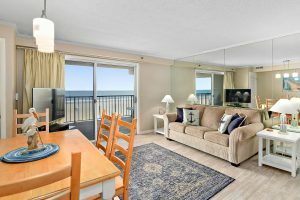 Get ready to have some good, old-fashioned family fun in this oceanfront condo! Spacious and impeccably decorated, you’ll feel right at home. Spy for dolphins from the balcony or go for a swim in the indoor pool. There’s never a dull moment at this highrise. After a day of non-stop excitement, unwind with a movie night in the living room. This condo is sure to become your home away from home. Expertly furnished with coastal decor, this beach bungalow will keep you coming back year after year. With sleeping space for up to six people, your family will be happy and remain in vacation mode morning, noon, and night! Have a movie night with your family in the cozy living room or cook your own gourmet meal in the fully-stocked kitchen. Watch the sunset over the beach, while relaxing on the balcony. After experiencing the fabulous view of the dunes and ocean, you’ll want to stay for more than just a week. Don’t wait! Book your vacation in one of these luxurious condos now! Summer 2019 is closer than you think. Author Keti LynchPosted on January 18, 2019 January 25, 2019 Leave a comment on Book Your Vacation at One of Shoreline’s Fabulous New Rentals!